This is a Pay What You Decide event. Please register to secure your seat. Paul Wilmot was an organ scholar at University College, Oxford, where he studied under the renowned organist David Sanger. Graduating in 2003 with a First in Oriental Studies, he subsequently gaining a Master of Studies from University College in 2004. Paul then worked for the Clay Sanskrit Library, publishing a translation of 'The Great Hall' from the Mahabharata with the NY University Press, then in Mauritius as a repetiteur and writer for Opera Mauritius, and more recently as organist of the Vega archipelago in Northern Norway. 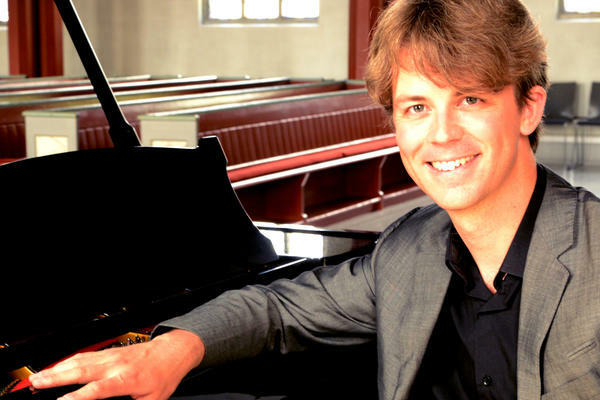 He currently works as an organist in the town of Lillehammer in Norway, where he is active as a recitalist on both piano and organ, and is comfortable in a wide range of genres from the Baroque to Contemporary, ragtime and tango. Recent collaborations have included the BBC Singers and the Trondheim Soloists. Join us at this lunchtime concert which celebrates a diverse selection of piano works written during the historical period of James' time at West Dean.